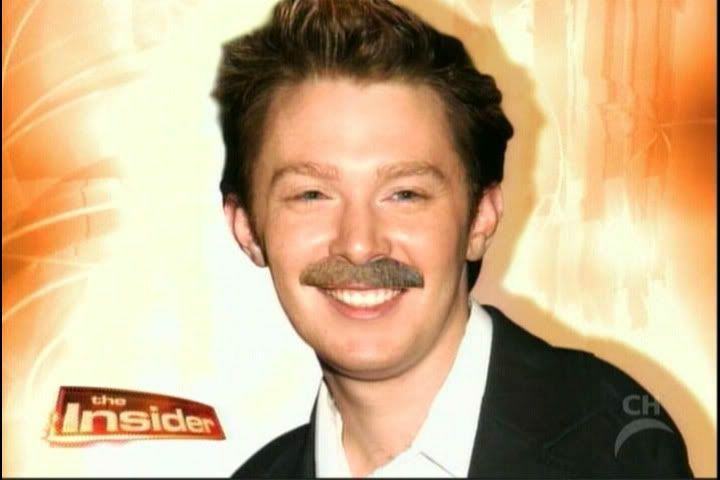 Clay Aiken – Blame The Pictures! Do you ever have one of those days where everything you have planned goes astray? If so, you will understand my Saturday. Instead of sticking to my self-imposed schedule, I ended up engrossed in other things. It has been fleet week in San Francisco this week. Today, the Blue Angels flew over the city. Watching them was not on my to-do list, but the sparkling blue sky and the small voices of the grandchildren asking me to join them…well, the decision was pretty easy. If you ever plan a trip to San Francisco, try to make it to Fleet Week. There is nothing like seeing the Blue Angels streaking through the skies, across the bay and framed by the beautiful Golden Gate Bridge. I tried to write when I returned home, but I got caught up in going through some fun pictures…and all of a sudden it was too late to compose a blog for today. So… I apologize… but leave you with some great pictures…you can blame them for no article!! No Theme – No Story! Sometimes its fun to get lost in your computer!! musicfan, you are too too funny! I'm originally from the Bay Area, but I've never seen the Blue Angels perform. Must have been a site! Looking forward to your next blog! 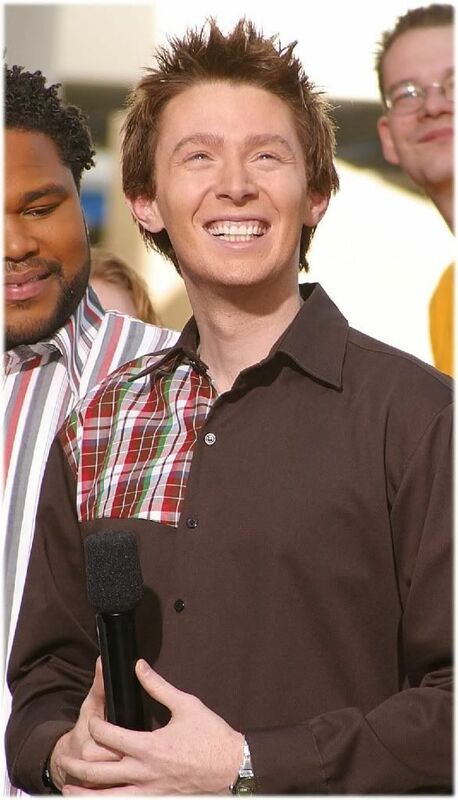 Oh and by the way, those are some nice pictures of Clay Aiken! Thank you! CANN is the best blog ever. It's so nice to wake up to each morning! Whoa. That last photo took my breath away! I saw the Blue Angels in Chicago years ago while lying on my back on the grass across the street from Grant Park on the water's edge. It was awesome. Well…..you can post pictures like that every day and I will not complain!! I am glad you had some fun family-time. I mean, that is the #1 thing!! Thank you for all the time you spend on this blog. It is appreciated! 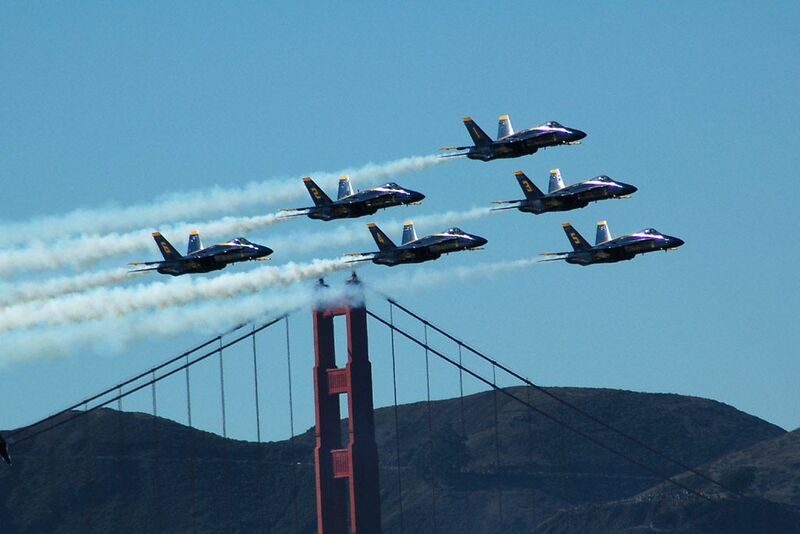 Love the picture of the Blue Angels with the Golden Gate bridge as a backdrop…Very nice. Glad you were able to spend time with your family…it is so important. Love the pics of Clay as well… I can't remember why the moustache??? It's funny..but I do love the one of Clay holding the bust of himself…I love the look on his face…. Thank you for these! musicfan – No need to place blame. Changing things up every once in a while is good . Just ask Clay. Certainly can't complain about the photos. A couple of those smiles say smile back in the nicest way, and all of them are reminders of happy times. Thanks for hanging in there. We all appreciate your dedication. Enjoying time with your family is important too. Thank you all for your understanding!! I did have a great day!! I say thank you for those gorgeous pictures. I could look at pictures of Clay all day. We don't mind..it is always important to spend time having fun too. Error: Error validating access token: Session has expired on Tuesday, 21-Aug-18 16:13:01 PDT. The current time is Wednesday, 24-Apr-19 01:15:19 PDT.